10mm Thick Yoga Mat Exercise Fitness Pilates Camping Gym Meditation Pad Non-Slip for just , $13.99 !!! Grab a 10mm Thick Yoga Mat Exercise Fitness Pilates Camping Gym Meditation Pad Non-Slip for just , $13.99 !!! 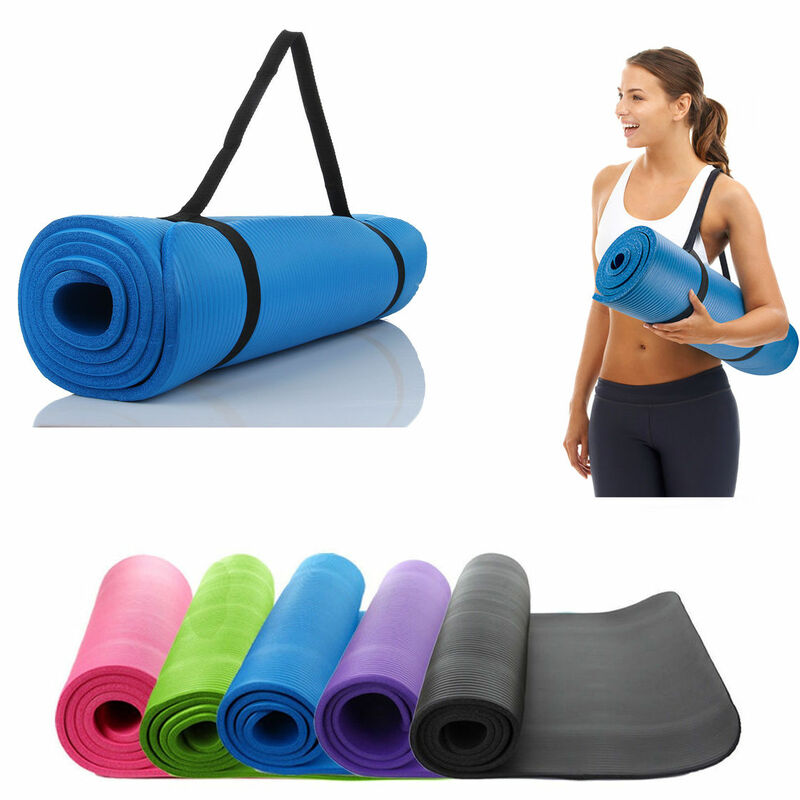 The 10mm Thick NBR Pure Color Anti-skid Yoga Mat is an ideal yoga mat for every yoga exerciser. Made of high-grade NBR foaming material, it provides a stable, cushioned surface with a natural rubber-like hand feel. American Tourister Fieldbrook II 4-Piece Nested Luggage Luggage Set NEW for $69.99 + FREE shipping !!!!! reg price $200!!! Vivere Brazilian Style Double Hanging Outdoor Cotton Hammock, Tropical for just $23.99 + FREE shipping !! reg price $55 !! Insignia- 6-Quart Pressure Cooker – Stainless steel/black for just $49.99 + FREE shipping! reg price $100!! adidas Ultimate 2.0 Tee Men’s for as low as $10.40 !! reg price $25 !!! Apple Original Lightning To USB Cable MD818AM/A For iPhone 5, 6, 7, 8, X for only $7.99 !!! Reg price $40 !! !